A question from one of my clients, a consultant, came in the other day asking me if I really believed it was worth the time networking online versus networking in person. After all, aren’t relationships really developed in person? Isn’t online a really impersonal, not-so-effective way to develop rapport and connection with people? 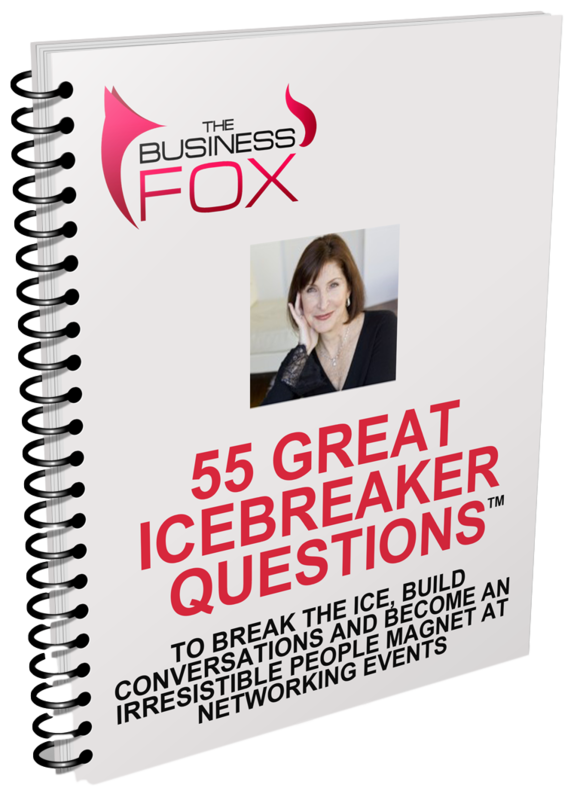 I was really glad he asked me that question because I could personally relate to the doubt and uncertainty about how much the online world can really offer true bonding in business relationships. So let me tell you the story of me and Jayne. A few years ago, I had a business friend and colleague, a lawyer in a major New York firm. Interestingly, he was really big into Twitter and had a huge following – mostly other lawyers. Anyway, I noticed one of his followers commenting on his tweets. They were interesting and I started following her. She followed me back. And then we struck up a Twitter-versation. Since Jayne was in Cleveland and I was in N.Y., we “brought the cloud down closer to the ground” when we spoke on the phone. At the time, I was co-hosting a monthly networking event for lawyers and accountants. I mentioned it to my new Twitter friend, never thinking she’d take me up on my invitation to attend. At the next event, Jayne showed up as a surprise! It was fantastic – we just bonded even more and became great business friends. Take note – Jayne had the initiative to get herself on an airplane to experience new relationships and opportunity! Soon after Jayne went to another firm- now as a partner – and we maintained our connection and friendship. When I moved to L.A., Jayne and I stayed in touch and our friendship grew. Jayne became a leader in her new firm, launching the Women’s Initiative. She also had a very strong leadership role with the Cleveland YWCA which designed and led a Women’s Leadership Program. She recommended me as a speaker at both the Cleveland Y and her firm. It took time, but because Jayne and I followed one another on Twitter, I landed two amazing clients and have the most inspiring friend! Jayne didn’t recommend me because I had the most advanced letters after my name or credentials. She recommended me because she felt a bond to my values and mission – and I to hers. Why? Because despite how logical people think they are, they are driven to act via powerful emotional triggers. Jeff Walker, online marketing master calls these mental triggers, noting they can become our biggest “weapons of mass influence”. My friend Linda could sell sand in the desert. I was always amazed by how she did it. She sold commodity-priced women’s underwear to retail buyers – a very tough bunch. But she bonded and became friendly with the buyers. She really liked them. She called them “her girls.” She invited them to stay at her house when they were in town for market buying weeks. She went to dinner and “girl events” with them. They liked her. She listened to them and learned all about their challenges and concerns. They gave her lots and lots of orders even though her products were not any better or cheaper than the competition. People buy from the heart, justify from the head. People believe they are buying from logic, but they are justifying decisions from the deepest part of their hearts. (another way of saying this is they buy what and whom they WANT, not necessarily what they NEED). You have to earn their devotion before you will earn their dollars. When they like you they will cut through all kinds of red tape and remove obstacles FOR YOU, and make the path to doing business a breeze. Mark Vincent Hansen, co-author of Chicken Soup For The Soul said it so clearly: “People don’t buy with their head but with their heart. The heart is closer to the wallet than the head”. So how do you build really solid relationships online? The exact same principles apply but you start a bit differently. Give people the feeling that you have relevance to them. You need to give them a sense that you care about THEM and their interests and challenges in order to create an emotional trigger. You need to let them know you understand their needs, challenges, concerns – building that emotional bond. You need to be patient enough not to rush into pitching them – it destroys any emotional bond and trust you have built. You need to connect the dots – building the bridge from their desired goals to solutions you have to helping them achieve these dreams and goals. Linked In, webinars, podcasts, emails, blogs – they are all avenues to connect with great business people. But connecting with them online is only the first step. You need to open their hearts before their minds will ever let them give your their credit card and business. Do you have a story or a question about connecting and building relationships online? I love hearing about your experiences and questions – and so does our business community. Please share in the comment box below- I will respond to all questions.